Recently, we started working on the Encyclopedia of Rund: a comprehensive guide to the world that will be available in the game for your reference. Some chapters of the Encyclopedia are already fully open at start (for example: the description of Rund’s factions and the basics of spellcasting) while others keep expanding as you explore the world (for example: all the chapters that describe creatures, biomes and inventory items). As we worked on the Encyclopedia, it dawned on me that, finally, everything starts to come together in the game. Now you can read about a certain potion and click through to see its recipe; then open a list of ingredients that offer the required alchemic properties, choose one in particular and follow through to where it can be foraged or mined; then proceed to read about the specific biome and the risks associated with going there. Each separate element occupies its appropriate place in the overall scheme of things, so that you can explore Rund from multiple directions (though there is still a ton of work left to properly edit and translate all these descriptions in all the languages that the game will support at the time of launch in Early Access). In one of the future posts, we will review the Encyclopedia and its structure to give you a better idea of what it is. Meanwhile, today I’d like to tell you about the swamps of Rund. Except for the biomes found in the Distorted Lands, swamps are the biome that’s the most challenging to traverse. Even ancient forests are easier to pass through, than swamps. When we started working on the concept of this biome, the most difficult thing to do was to show the proper scale of trees in the environment. When a party travels through swamps, there’s always a chance of getting trapped in a bog. When several disciples travel together, a friend can lend a hand to the person that got unlucky. When someone travels alone, though, getting sucked into a swamp means certain death. After several sketches, we arrived at the look and feel that we were aiming for: a place that’s challenging to traverse, full of hidden dangers. Because swamps are damp and cold places, prolonged travel through swamp will result in disciples falling sick – unless the party carries certain potions and ointments used to prevent such consequences. 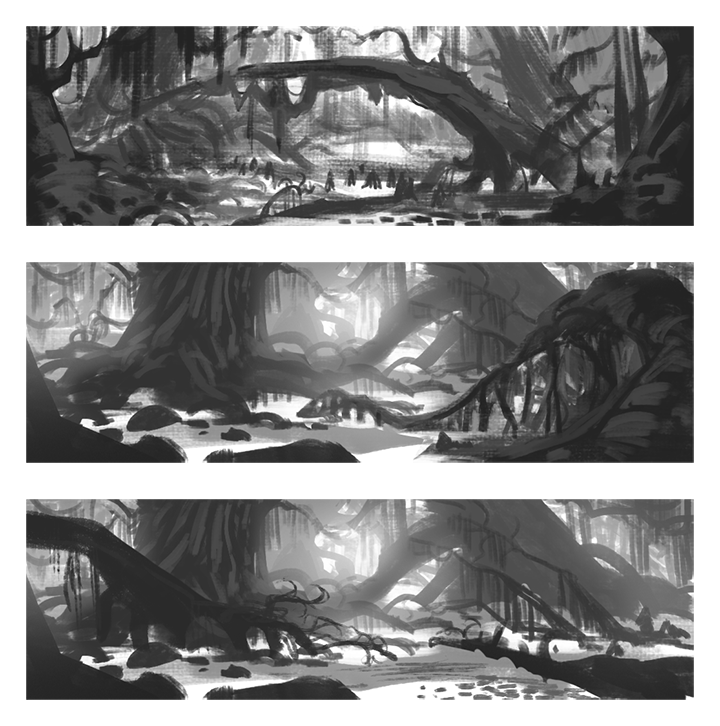 Once we started working on the colors of the swamp, we explored different directions. Another risk of traveling through swamps is their poisonous flora and fauna: there’s mosquitos (who can carry diseases), there’s earth leeches (generally, not fatally dangerous – except when characters are already weak or wounded), and there’s a number of plants that can sting when touched or poison when consumed. With swamps, travel equipment becomes critical to the successful crossing. While having travel boots, travel coats and bedrolls to be used when camping is a nice bonus for navigating through both regular and ancient forests, this equipment is an absolute must for traveling through swamps in order to prevent negative events. Good travel equipment is the best way to prevent bad things from happening to your party. What else can help in the swamp? Having a high Travel skill as well as the secondary skill of Survival. Generally speaking, swamps are a dangerous to be. And because of animals and monsters that reside there, during the night swamps become even more dangerous. Among the monsters that inhabit the swamps, there’s the Swamp Beast: a loner that controls a certain zone around its home. Sometimes, non-humans like drowners would worship such beasts, and would bring them various valuable items as their offerings. In such cases, defeating the beast will result in discovering a substantial stash of loot accumulated over the years. Speaking of Drowners, they were created as hunters and are generally not aggressive towards humans. However, if attacked, they will retaliate. While the Swamp Beast is a dangerous monster, Drowners are generally neutral towards humans. Why would anyone in their right mind venture into the swamps, then? To obtain rare resources, is the answer. 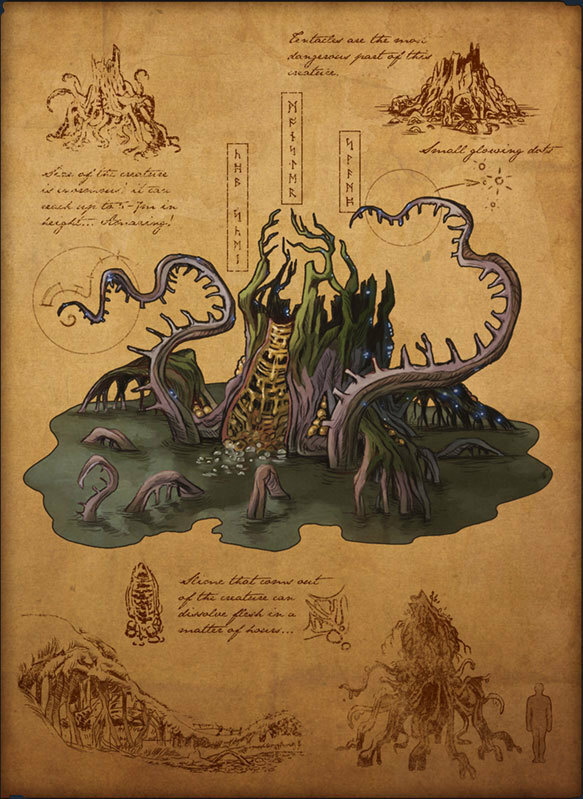 Arcanite (a mineral) can only be found at the bottom of the swamp, and mandragora grows exclusively in this biome, too. 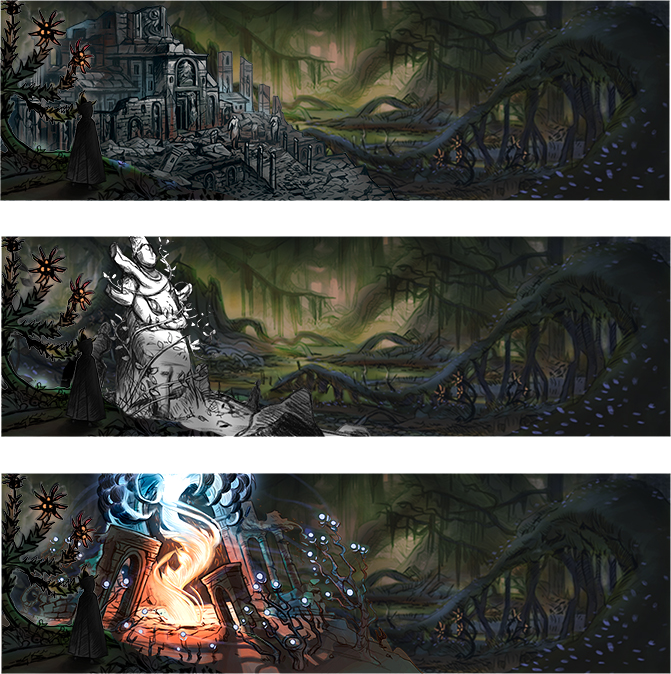 Swamps may contain numerous points of interests, including Ruins and Idols, and even Sources. While Sources and Idols are beneficial to the supply of magic energy for your Spire, Ruins are a good source of loot (they may hold items as well as chests, and also be inhabited by various creatures). 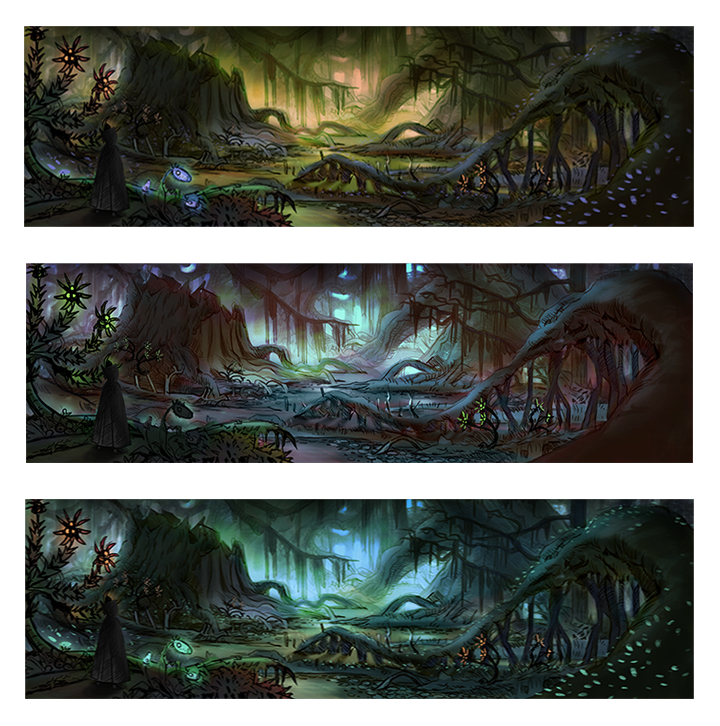 Some of the points of interest that you may come across when traveling through the swamps of Rund. 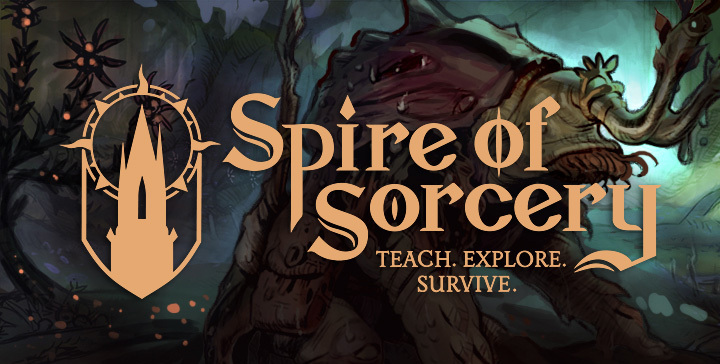 Overall, you may feel like swamps are a challenging biome – but that’s only before you decide to venture east, into the Distorted Lands, where you’ll run into much more dangerous situations. In swamps, with sufficient Travel and Survival skills and with solid travel equipment and a supply of potions and ointments, feeding itself by fishing, hunting and foraging for mushrooms, a party may very well execute numerous quests with great success. Really, I am a kind person. I hope and like to train my disciples into wizards that are as great as me, rather than using them as consumables. Please tell me I will get what I want. When talking about Q2 I feel like it's so close, but reading this seems like it's taking up too long to deliver the game. I expect this to be awesome, sure, but would love to actually play this one.